Dr. Jaime Olivares-Perez is currently working as Research Professor. 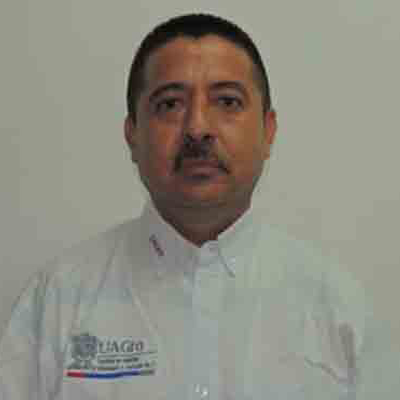 He has completed his Ph.D. in Animal Nutrition from Autonomous University of Guerrero, Mexico. His main area of interest focuses on Health, Feeding and Animal Nutrition. His area of expertise includes Chemical Compound of Fed, Animal Nutrition, Animal Feeding, Animal Health, Fodder Tree, Food Digestibility, In Vitro Gas Production, Condensed Tannins, Total Phenols, and Parasites in Ruminants. He has 10 publication in journals contributed as author/co-author. Saul, R.H., A.N. Francisca, C.O. Octavio, G.M. Anastasio and O.P. Jaime et al., 2012. Chemical Composition, In vitro Digestibility of Foliage Guazuma ulmifolia and Crescentia alata and its Use in Feeding Lambs. Pak. J. Nutr., 11: 1139-1145. Sanchez-Sanchez, A., O. Jimenez-Rosas, N. Mendez-Palacios, F. Vazquez-Flores and V.A. Edmundo et al., 2012. Diagnosis Production in Dairy Cattle Grazing Livestock Group Validation and Technology Transfer. J. Appl. Sci. Res., 8: 5242-5246. Perez, J.O., M.T.V. Almazan, I.G. Segura, E.J.M. Martinez and S.R. Hernandez et al., 2012. Relation of Variables Structure Dasometric with Foliage and Fruit Production in Tropical Tree Forage Legumes in Mexico. J. Vet. Adv., 2: 285-291. Olivares-Perez, J., I. Gutierrez-Segura, S. Rojas-Hernandez, M.T. Valencia-Almazan and E.J. Mireles-Martinez et al., 2012. Seasonal Prevalence of Strongyle in Creole Goats of the Tierra Caliente Region, State of Guerrero, Mexico. Res. Opin. Anim. Vet. Sci., 2: 216-220. Alejandro, C., X.V. Manuel, R.C. Gustavo, E. Roman and C.C. Alejandro et al., 2012. Effect of Animal Welfare on Reproductive Parameters in Dairy Cows. J. Appl. Sci. Res., 8: 2866-2868. Rojas-Hernandez, S., J. Olivares-Perez, R. Jimenez-Guillen, I. Gutierrez-Segura and F. Aviles-Nova, 2011. Dry matter production and morphological components of four brachiaria cultivars in the tropics. Avances en Investigacion Agropecuaria, 15: 3-8. Olivares-Perez, J., S. Rojas-Hernandez, M.T. Valencia-Almazan, I. Gutierrez-Segura and E.J. Mireles-Martinez, 2011. Prevalence of resistant strains of Rhipicephalus microplus to acaricides in cattle ranch in the tropical region of Tecpan of Galeana, Guerrero, Mexico. Pak. Vet. J., 31: 366-368. Olivares-Perez, J., F. Aviles-Nova, S. Rojas-Hernandez, B. Albarran-Portillo and O.A. Castelan-Ortega, 2011. Identification, uses and measurement of fodders legumes trees in south farmers of the State of Mexico. Trop. Subtropical Agroecosyst., 14: 739-748. Martinez, E.J.M., S.R. Hernandez, V.A.M. Trinidad, I.G. Segura and O.P. Jaime, 2011. Controlled Breeding, Prolificacy and Delivery Distribution in Hair Sheep in the Dry Tropic of Guerrero, Mexico. Redvet Rev. Electron. Vet., 12: 1-13. Rojas-Hernandez, S., M.T. Valencia-Almazan, I. Gutierrez-Segura, E.J. Mireles-Martinez and J. Olivares-Perez, 2010. Effectiveness of febendazole to 10% on the control of gastrointestinal nematodes in nursing cow's zebu-swiss. Red Vet., 11: 1-7.